Precision OS Technology is based in Vancouver Canada and founded by Danny Goel, Colin O’Connor, and Roberto Oliveira. 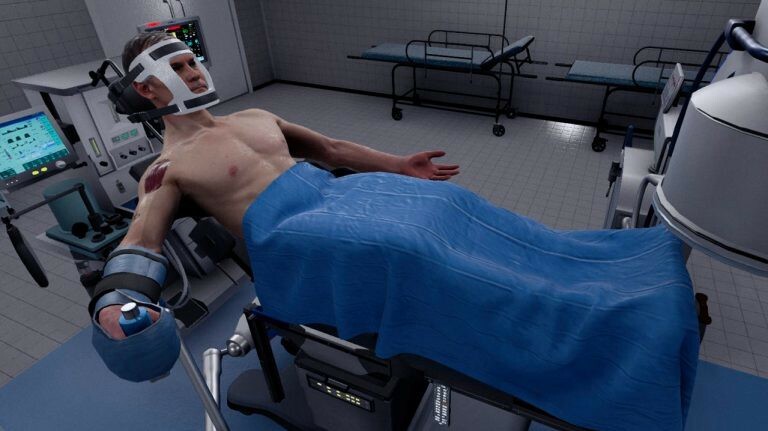 Precision OS™ is a combination of Orthopedic Surgeons and high end game developers who have created the most innovative and realistic medical orthopedic simulator experience. The focus of Precision OS’ software is to provide the user metric feedback (version, angles and other critical data) to improve the expertise of the practicing surgeon. Improving performance and surgical volume has a direct impact on minimizing complications and improving patient outcomes. Practice with purpose, operate with Precision. Our intention is to focus our platforms on the many areas of the surgical process. This includes patient preparedness for surgery, the surgeon (including all level of trainees) and rehabilitation Precision OS™ has immense educational value as we are building a tool to positively impact the patient. Precision OS’ Products include an educational platform termed “Trauma OS” and a preoperative planning tool called “PreOp OS”. Trauma OS is a virtual reality (VR) platform that allows students, resident, surgeons, and Implant company representatives to practice and perform procedures in VR. PreOp OS is a pre-surgical planning tool. Surgeons may upload their patients’ advanced imaging whereby Precision software will convert the data for use in VR. PreOp OS allows for a greater understanding of fractures and metrics for implant position and use.